Lyons Press / 306 pp. I’ve always had an interest in the intersect between halacha, history, and archaeology. It is this interest that led me to research and write about the status of Purim in modern-day Israeli cities that are adjacent to ancient cities that had a wall around them in the days of Yehoshua Bin Nun. I concluded, that with regards to Beit Shemesh at least, that there is much merit in observing a second day of Purim, on the 15th of Adar. Although I never took my interest in archaeology and halacha much further than the Purim issue, I jumped at the opportunity to review Baruch and Judy Sterman’s new book, “The Rarest Blue.” The Rarest Blue is an adventure into the world of techelet, the blue of the Bible. While techelet was needed and used in a number of different ways, especially in the Temple service, it was more widely found on the fringes of the tzitzit. As the Torah says, there must be a thread of blue on the corners of the tzitzit garment. Sadly, however, this mitzvah has fallen dormant and all but forgotten over the last two thousand+ years. This was mostly due to the inability to identify the source of this blue. The Rarest Blue is a fascinating journey that takes the reader back in time, offering an exciting and thorough overview into the ancient world of dyeing, in general, and of dyeing the techelet, in particular. It tells the story of the re-discovery of the murex snail which is, at least according to the Sterman’s, the source of the ancient blue. To properly explore the world of techelet, one is taken on an exciting adventure into the world of Torah, archaeology, art, chemistry, and history, which The Rarest Blue so gracefully does. In unraveling the mystery and re-discovery of techelet, readers are taken back in time to the Greeks, Romans, Akkadians, Scythians, and Phoenicians. Indeed, with even New Testament references, haskamot from a chemist and a journalist, and publication by Lyons Press, this is not your average sefer. The Sterman’s clearly wanted to publish an “all audiences” book which is what they did. Whether one is a non-Jewish academic exploring the history of the ancient dyeing industry or a Torah scholar seeking to understand the history and revival of the murex as the source for fulfilling this mitzva d’oraita, this book offers something for everyone. Nevertheless, I would have much appreciated a chapter or at least an appendix of some sort, on the practical applications of the halachot and shittot on wearing and tying techelet today. How many strings of blue? How are they to be tied? Is there a problem with having techelet on only some of one’s tzitzit garments and not others? These, and other such questions that the orthodox reader would enjoy exploring, would have made the book that much more complete and authoritative — the one-stop-shop for anything techelet. There also should have been further resources available on how those who wish to purchase techelet can do so. But from Crete to Masada and from Galileo to Gandhi – no stone is left unturned in presenting the glorious past of the blue dye. The presentation on the key players in the history of techelet, such as the Radziner Chassidic dynasty and Rabbi Isaac Herzog is beautifully presented along with their biographies and the historical context in which they lived and were influenced. Readers will even learn how Aristotle and Pliny affected the search for the murex snail. The Rarest Blue is simply delightful. The material is crisp and clear – it reads incredibly smoothly and beautifully. Even the chapter on the physics, biology and neurology of techelet-making can be understood by someone like me who never passed tenth grade science. The argument that the murex snail is the source for the techelet of the Torah is certainly a convincing one. And although I am not in a rush to place techelet on my tzitzit, I am certainly far more educated on the word of the murex and techelet than I was 300 pages ago. Why not? Safeik d’oraitta l’chumra. If it’s not really tehelet – no loss. If it is – you are performing the mitzvah k’tiknah. Besides, the evidence (forensic, chemical, physical, historical, archaeological, etc.) is very compelling. …I agree with everything you wrote!! For me its primarily a budgetary issue. I have a great deal of respect for the R’ Sterman and the Ptil Tekhelet institute with which I understand he is affiliated. None the less, I am absolutely convinced that they are wrong. The dye that they are promoting is indigo derived from molluscs, and it is chemically identical to the indigo dye extracted from the woad plant (isatis) and the indigo plant. We know that tekhelet cannot be indigo, because indigo would fade when examined using the procedure specified in the Talmud. I think it is very likely that they have rediscovered “kala ilan”, imitation tekhelet – a significant achievement in itself – but not the real thing. There are other good reasons, but this one is frankly incontrovertible. You might ask why not use it anyway, if it doesn’t invalidate tzitzit. I have two answers for this. One is that “safek de’oraisa” can only arise if there is a genuine safek. I don’t think there is any safek here. The other reason was suggested by the late Lubavitcher Rebbe ZTz”L,. He asked why the use of tekhelet was rare, to the extent that the sages of the Talmud had difficulty recognising it. His answer was that the use of tekhelet was somewhat discouraged because of its possible confusion with kala ilan. If someone mistakenly attached woolen kala ilan (genuine tekhelet always used wool threads) to a linen garment then they would be wearing shatnez, a forbidden mix of fibres. For this reason tekhelet was informally treated as if it fell into the category of “shev v’al taaseh”, a theoretically virtuous act that should not be done. Since our forefathers had reasons not to wear tekhelet we probably shouldn’t either. The Rebbe proposed this as a suggestion, not an edict, but I think it’s a point that needs to be considered by anyone hoping to reintroduce tekhelet. As far as your claim Re. Indigo, see the literature. Your last suggestion makes no sense. I suggest you listen to the lectures on the subject by Rav Hershel Schachter available on yutorah. Thanks to Rabbi Enkin for a wonderful review. Kala Ilan was indigo that was derived from plants – either from woad or from the indigo plants of the Far East. Murex produces the molecule indigo as well, in a mixture that contains another 10 or so molecules as well. As we discuss in the book, indigo is the *only* molecule capable of producing a blue dye that can be produced by living organisms. (Humans can produce synthetic dyes, but that is not what we are talking about…) So as long as we accept that tekhelet was a blue dye, it will have to be indigo – whatever the source. The fact that murex trunculus shells were found in digs from the time of the Tannaim in places like Mount Zion, Ir David, Yavneh, Dor, and many others leads to the conclusion that the Rabbis of the Mishna and Talmud must have known about them and their potential to produce a blue dye. And their blue dye is identical to the color of the sky. The Rabbis warn against using plant-based dyes, but never mention any prohibition to use the *wrong* snail. 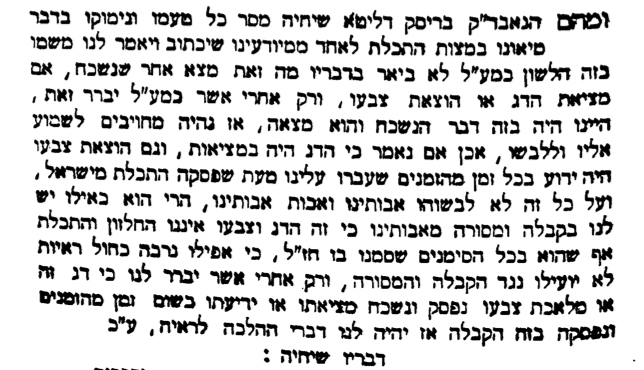 This reasoning led both The Radzyner Rebbe and Rav Herzog to categorically state that should one find any sea creature capable of producing a lasting blue dye, it must be a suitable source for tekhelet. Nothing inherently wrong with it…Its just ‘uncommon’ that Torah work would be published through a non-Jewish publisher. No,it’s not. The color element is identical, but the dye as such can be clearly distinguished, as showed by Prof. Zvi Koren in multiple studies of ancient fabrics. There are various reasons why safek deoraysa lechumra does not apply to tcheles. One, as Rav Schachter discusses in his Ginas Egoz, is that some acharonim (including Rav Chaim) learn safek deoraysa lechumra to mean that you must go lechumra when going lechumra will remove the safek. But in a case like this, in which even after going lechumra, you will remain in a situation of safek, safek deoraysa lechumra does not apply. Another reason that it would not apply here is that some acharonim learn that safek deoraysa lechumra only applies to a safek on the mitzva, but here you’re certainly yotze the mitzva of tzitzis, you are just missing the mitzva beshleimusa with tcheiles, and safek deoraysa lechumra does not apply to a mitzva besheimusa. As far as the question of whether you lose anything if it’s not tcheles, the Bisker Rav held that you do lose out if indeed it’s not real tcheles, because lechatchila the strings should be the same color as the beged. Interestingly, he was quite friendly with the Radziner and the latter had visited him on a number of occassion to solicit his approval. Just wondering, what acharonim pasken differently? In Gur Aryeh Yehuda (by Rav Menachem Zemba’s son R Yehuda Arye Zemba), there is a lengthy discussion on this and I believe Rav Menachem Zemba comes out that Safek deoraysa lechumra applies even when going lechumra does not remove the safek. Not to put you on the spot here, but . . .
And the reason why you’re not in a rush? Financial. Tell me, when you see a friend in shul with a techeiles tallis godol, do you ask to “borrow” it (he has to give it to you) so that you can put it in and fulfill the mitzvah? I would guess that you, like 99.9% of others, do not. I would therefore surmise that the barrier is not financial. I would add spending money on shmura matzah, on first press olive oil for chanukah and a whole host of ther hiddurim. IIRC rav h. schachter has suggested that the likelihood that P’til Techelet’s version is correct is at the point at which one must have concern for the rishon (I believe the Baal Ha’Meor) who is of the view that it is ASSUR to wear entirely white tzitzit on a four cornered garmet if Techelet is available (I think there may have also been a view that it is always ASSUR to wear entirely white and that particular decisor did not wear tzitzit – which we are always reminded by RMF’s Feinstein tshuva on mitzvat yishuv haaretz – is a mitzvah kiyumit rather than chiyuvit.) The issue is not one of safek deroyta lechumra – it is whether the tipping point has been reached where it is assur to wear entirely white threads. If you believe that this point has been reached budgetary concerns might dictate having one set of techelet on a tallit gadol (knock a few shekel of your arba minim the next few years) and just not wearing a tallit katan at all. Even if one accepts the premise that doing a mitzva shelo beshleimus is Bal Tigra (which is a very big chiddush), I think it’s very reasonable to assume that there is only an issur when there was a chiyuv in the first place to do the mitzva beshleimusa. If so, the issur of Bal Tigra would only apply here if we first determine that safek deoraysa lechumra applies and therefore there is a chiyuv to put on tcheles. As such the question does again revrt to the issue of whether safek lechumra applies here. The reasons “not to” wear tekhelet which you cite are not at all compelling. Most people are afraid to wear tekhelet and give some poor excuse. Silly. I thought R Shlomo Miller from Toronto rejects the Murex because its not a fish and not kosher. Having the tzitzit the same color as the begged is just a hiddur and not m’akeiv. Listen to the above linked shiur for two different versions of Rav Chaim’s position Re. mesorah and tekhelet. I do find it at least a bit curious that many of the peolpe who I see wearing it are (generously speaking) very mekhil in their general mitzvah observance ie they wear it in their talis but come to shul Shabbos in the midst of laining and dont come at all during the week. While thats not a reason to wear or not to wear it does indicate that the philosphy/politics plays a strong role. The people that I know who wear tekhelet are some of the most m’dakdekei b’mitzvot, midot and avodat Hashem. Shmuel, maybe consider who you are spending time with and where you are davvening…. Financial-could one be matir neder for a few months and not hold chalav yisrael -take the savings and buy tcheilet? I was going to say something like the opposite. i do find it curious that many of those coming up with reasons why they don’t “have to” wear techeles are, in other areas, hardly content to accept similar reasons, based on disputed or minority views, not to do other mitzvot/hiddurim. i know people who wear it and aren’t otherwise particularly frum (but nu, so at least they do this) as well as some who are very frum. and btw, i know many people who wear black hats on shabbos, but the rest of the week . . .
and i know many people who break the bank to eat only hand shmura for 8 days and to buy the most expensive esrog, but the rest of the year . . .
such a long-term sacrifice isn’t necessary. just buy a basic esrog one year or a few pounds less of hand shmura. do people who hold out on techeles on the talis for financial reasons otherwise buy (or have the father-in-law buy) a silver atara for the talis gadol? I’ve seen this book available at The Mitzvah Store in Los Angeles you can order it from them they’ve shipped to my friends before their number is 310-247-9613. Menachem Borenstein HaTechlet has been the “one stop shop” for many years already. Although I haven’t seen the book, by your own testimony it does not seem to be aimed at the religious jew. Ye’yasher kochakha, R. Enkin, on an excellent review of an excellent book. Thus, in the opinion of R. Moshe Feinstein, only individuals who are “gedolei ha-dor ba-Torah u-ve-yir’at Shamayim” should read the passages from the New Testament [sic] that are cited in R. Sterman’s book. In any event, I assume this only affects 0.01% of the volume of the book, and that 99.99% of the book can be read by all Jews. This says something very different than the Rav’s statement. In the Radzyner’s version, the Brisker Rav seeks to understand what the Radzyner had found that was new and unknown to previous generations. If the Radzyner could not point to any specific advance in knowledge, then the fact that the great and pious Rabbanim before him did not come to similar conclusions as the Radzyner makes that position suspect. It is as if we have a tradition against the Radzyner’s chilazon. It could be that the Rav had information that we do not, but in the paragraph cited here, it would appear that not only is the Brisker Rav saying something different than what is attributed to him, but in fact he is saying the opposite. What if one owns many pairs of tallit katans? Does it make sense to only buy t’cheilis for one’s tallis gadol, or for only some of his tallis katans? Or is that contradictory? I think this in-for-a-penny-in-for-a-pound situation makes the financial aspect more potent. Sure, to spend it for one garment is no big deal. But if you do that, surely you should do so for all your garments, and if you own 10 such garments, it gets expensive to do all at once. R’ Sterman, many creatures produce blue pigments and many of those might make good dyes; in fact Rav Herzog suggested that the mollusc Janthina might have been the source of tekhelet. The fact that we don’t know how to turn it into a dye is no disproof: neither did the Amoraim. Furthermore, the presence of murex shells is no proof that they were used for tekhelet: nobody disputes that they could be used for dyeing (or quite possibly consumption). In fact I would argue the opposite: tekhelet was notoriously rare and expensive; would the shellfish used in its production really be as rare as all that? Don’t forget that wool dyed with argaman (another murex dye) was also expensive, but it was common enough for the Rabbis of the Mishna to use it as an example of something that would be ownerless if lost. Surely tekhelet would not be markedly more expensive or hard to find than argaman, if it came from the same or a similar creature. I am not convinced that kala ilan was of vegetable origin. It’s name is an obscure term that may be of Greek origin, but it certainly contained the chemical indigo. As for distinguishing between pure indigo of plant origin and pure indigo of animal origin, that’s simply impossible: they are the same thing. R’ Zvi Koren’s test as I recall is more subtle: he identifies a related dye that is present in almost all samples of indigo sourced from molluscs. This is an excellent way of distinguishing murex dyes from the typical plant dyes, but the test as given in the Talmud would reduce indigo of murex origin as well as indigo of plant origin. There are 5 physical processes that can lead to an object being blue, and there is a very big difference between a pigment and a dye. As I mentioned, indigo is the *only* molecule capable of producing a blue dye that can be produced by living organisms, and this may be the most important “chidush” that we put forth. All this is discussed in detail in the book, as is the work of Rav Herzog and Prof. Koren. I look forward to discussing this with you and hearing your impressions. The Rav, was against certain forms of interfaith dialog, but he certainly was not against reading the NT. I cant peovew that he read a whole lot of other works of christian theology. Sorry, that whole posy was a mess. I can prove he read the NT (Though RAL certainly has), but he certainly read a whole lot of other christian theology. btw it is my understanding the RHS, matired reading small seclections such as these. We do not know the exact nature of the test described in the Gemara. Even if we would speculate that it was stale urine and its purpose was to reduce the indigo element, we have no idea what was the effect of “simemanim” used during the dying process. Too many unknowns to use this test as evidence for or against the Murex. Thank you, R. Moshe Shoshan. It seems to me that rashei yeshivah such as R. Joseph Ber Soloveitchik and (le-havdil bein chaim le-chaim) R. Aharon Lichtenstein will definitely match R. Moshe Feinstein’s description of “gedolei ha-dor ba-Torah u-ve-yir’at Shamayim”. Therefore, I agree it is permissible for them to read the New [sic] Testament. The question is whether this permission can be expanded to the public at large. You indicate that R. Hershel Schachter has permitted small selections of New [sic] Testament to be read by the public at large. Such a ruling would certainly be most significant. Is this a ruling R. Schachter has written, or is it mi-pi ha-shemu’ah? Thank you. Rabbi Spira: What you do not seem to understand is that many Modern Orthodox Jews who have attended YU with all their great respect for RMF do NOT accepr his halakhic authority on issues conected to matters of hashkafah. The fact that RMF ruled that one may not read the NT carries NO weight. RJBS urged his students to read Kierkegaard’s Fear and Trembling; RAL has urged his students to read Augustine’s Confessions and Milton’s Paradise Lost. All are deeply Christian works. Do you think RMF would approve? Obviously not, but, to be blunt, so what. R’ Shimon S: We know that kala ilan was chemical indigo, so any test that distinguishes between kala ilan and tekhelet must be a test that distinguishes between chemical indigo and tekhelet. Since the Talmud’s test involves aged urine I think it’s pretty that it’s a classic urine reduction bath. As for the Talmud’s recipe for tekhelet, since it requires high temperature it’s not a vat dyeing process; I suspect that the added ingredient(s) was a mordant. R’ Baruch Sterman: how can you say that the only natural blue dye is indigo? None of us know the full range of natural dyes that can be made, and in fact I know of other natural blue dyes. For instance, here’s a link to a lady who made some very nice blue wool using soaked black bean; and here’s a page with more details about the process. The gemora says that a blind person should wear tzizit, because even though he can not see the tzizit, those around him can. This would imply to me that l’halacha you should wear the tzizit out. In the 1970s Yadin found a large pile of Fake techelet tzizit near the Bar Kochva caves. Unless someone is suggesting that there are two ways of making fake techelet, one with the indigo plant and one with a snail, I find the argument that what has been re-discovered is fake techelet to be completely wrong. We have re-discovered techelet. There is no question about it. There is no doubt. However, Charedim did not discover techelet, and charedim do not make money from the sale of techelet. Therefore, it seems some Jews are afraid to wear techelet. The Zohar says that techelet will come in the days of Mashiach. People are therefore afraid to say we have techelet. The Talmud says that the Jewish people will return to Israel in the days of Moshiach, and so people are afraid to return to Israel. Be thankful to Hashem that he has kept His promises, and keep your end of the bargain. Joe, your links didn’t post. If you order the book directly from the authors they get a higher percentage of the money than if you buy the book from amazon. So if you are able, it’s better for the author to buy it directly from them. BTW, what does the book say about the find on Masada last year? Avi: Yadin didn’t find tzitzit in Masada. He found a bundle of dyed unspun wool. He leapt to the conclusion that it must be for tzitzit but he really didn’t have good reason for doing so. The blog is called The Ways of the Whorl and the title of that post is “Natural Dyeing Take 3: Black Beans”, posted April 12 2011. You can see some very fine shades of blue there, quite as good as what you might get from chemical indigo. Incidentally, for those people who think that tekhelet came from murex extract: what do you think kala ilan came from? One person here said it was a tree, but which tree? It is wonderful to see such a lively discussion regarding the topic of tekhelet. This is one of the undeniably positive things that has come out of the work done by so many over the past 25 years. Tekhelet is no longer seen as a “meis mitzvah” but rather as a topic to be studied on a practical level, in all its detail. I’d like to address some of the comments. First, regarding the black bean blue – all the sites explain that it is not light-fast and not heat-fast. It will fade over time and turn grey. This highlights the difference between a pigment and a dye. A true dye will not fade in sunlight or heat, and will not wash out with water or detergents. As the Rambam says regarding tekhelet – sheomedet b’yofyah – it retains its beauty. Kala Ilan, which is plant-derived indigo, comes from one of two sources. In Europe, it is obtained from woad – Isatis tinctoria. In the Far East, it was produced in much larger quantities from the Indigofera tinctoria, or related species. The etymology of the phrase “kala ilan” is not clear, but the suggestion I like best is that of Rav Herzog, that it comes from the Chinese lan or k’lan which is still the word for sky-blue. With regards to Prof. Zvi Koren’s magnificent find of last year – the swatch of wool with a dark blue, murex–dyed stripe, found on Masada. This is of great significance as it shows that murex-dyed blue wool was present in Israel in the times of the Mishna. I think that given this find, it is impossible to assert that Chazal were unaware of the murex as a source for blue dye. Whether the shade and hue of that particular blue stripe is the same as that of tekhelet is not certain, though Prof. Koren maintains that it is. Personally, I am of the opinion that tekhelet was mid-day sky-blue, and this is the more widespread position traditionally, from Rav Saadiah Gaon, to the Rambam, to the Tifferet Yisrael, the Radzyner, and Rav Herzog. Baruch Sterman: Doesn’t the shade of blue vary based on conditions when it was dyed? I believe I may have read that in a source written by you or one of your colleagues. I have several sets of tekhelet from P’til Tekhelet and they have somewhat different shades. Popped into a bookstore in Jerusalem today and didn’t see it. Is it only available through you? We are hoping to print it in Israel in the next few weeks and then it will be available here. In the mean time, you can be in touch with us directly. In footnote 29, though, R. Willig does assert that “the precise definition of minim in this context and the status of non-Jewish authors and lecturers are obviously critical and require further elaboration”. Perhaps, then, R. Willig is trying to say that a book so fundamental to a Noahide religion as its bible would be off-bounds for a Jew, whereas more pareve works like Kierkegaard would be acceptable. R’ Baruch Sterman: surely everyone knows that most dyes do fade, whether by sunlight, bleach, or whatever. I will be very surprised if you have never seen any faded clothes. The difference between pigments and dyes isn’t well defined, but generally speaking pigments are insoluble while dyes are soluble; pigments can only be held against a substrate by mechanical forces (e.g., being held by a binder) while dyes adhere to a substrate either chemically or through absorption. Indigo is a relatively robust chemical and, as a vat dye, does not rely on a fragile chemical bond with the underlying fabric. However (again as a vat dye) it is easily removed using the Gemara’s test for kala ilan. If the material being sold as tekhelet fails the tests given in the Gemara then it is not truly tekhelet. Surely this should be uncontroversial. Incidentally, they had plant-derived indigo in the times of the Mishna and Talmud. They called it isatis; we call it woad. They didn’t call it kala ilan. R’ Baruch Sterman: I’m sure you know all this but for the discussion: mid-day sky-blue can mean a lot of things, including dark blue (particularly in the Middle East), as pointed out by Rav Herzog and nicely documented by R’ Shlomo Moshe Scheinman. Also see the Rambam (mid-day sky AND very dark). R’ Joe in Australia: Re: Techelet tests: What is your opinion on the presence of the other ingredients at the urine test, and the chemical nature of the baking test? R’ Spira, sometimes, when using elegant circumlocutions, actual meaning can be lost. A religion, by definition, cannot a “Noahide.” In your effort to use a euphemism, you are corrupting halakhic discourse. A non-Jew may technically be a “noahide” in that he is a descendant of Noah, but nowadays “Noahide” means something very different. R’ Shimon S: Lots of dyes change color when they are treated with acid or alkalis – some go from blue to red, others from red to blue, yet others turn colorless or yellow or whatever. I think the baking test is basically a way of heating the string in an acidic environment using common kitchen ingredients. This would explain why the Talmud’s first test doesn’t conclusively prove that something is kala ilan: it might be tekhelet which was badly affected by the alkaline environment of the first test; but in that case the acidic environment of the second test would restore the color. The aged urine used in the Talmud’s first test is presumably there to chemically reduce the indigo in kala ilan and thereby make it soluble and capable of being washed out. It’s possible that the alum and fenugreek are there to keep the solution alkaline (which helps the indigo enter solution) and to kickstart the fermentation which causes the chemical reduction, respectively. But it’s also possible that alum and fenugreek are actually ingredients in the original recipe for tekhelet! Alum is a classic mordant (a chemical intermediary that lets some dyes adhere to fabric); aged urine contains ammonia and is/was used to scour wool; fenugreek might be there to make the mixture more viscous. But this is just speculation. Yasher koach to Baruch Sterman and his associates for their devotion to resurrecting the mitzvah of techeilet. I had commented extensively on the issue of the murex trunculus source, the dyeing process used, and the resulting colors some years ago in this blog (at the time the dispute was between a number of us and a defender of the Radziner dye – in addition to one or more of Baruch’s associates). While I am a chemist, my field is in physical chemistry/chemical physics rather than organic chemistry. However, I certainly have more than a layman’s knowledge of dyes and dyeing. I withheld commenting this time until I had a chance to read the current book. I have now done so. I should state that the book is an interesting read. My continuing problem is with the color produced. R’ Baruch admits that there is a problem with quality control working with small batches of the trunculus material. Colors that are produced in the photos range from aqua to a classic indigo color. I fail to see why the violet-purple color produced in the absence of strong sunlight is rejected, whereas aqua is acceptable. Neither would be considered normal sky color. To my mind a deep blue with a violet tinge (i.e., a brilliant blue) is likely to be the ‘true’ techeilet coloration. The fact that the sages in T.B. Menachot could not distinguish by eye between the techeilet color and plant indigo may reflect on cultural differences in color perception or that the fake techeilet was made using a combination of plant indigo with some crimson dye. I note also Baruch’s statement in his book that violet skeins of wool that had been dyed in the absence of strong sunlight and then spun into tzitzit yarn turned blue in the steam chamber used to set the twisted thread. This is an alternative process which I believe results in a hydroxy-indigotin molecule (i.e., the substitution of OH groups from water (HOH) for the Br in the bromoindigo dye molecules). The difference between the sun light (or UV) produced blue dye and that produced by steam should enable the distinction of those 2 dyes. Incomplete conversion of the bromoindigo to hydroxyindigo may not be problem if a violet tinged blue is the desired color. Alternatively, the addition of ammonia to the steam chamber should facilitate a more complete conversion. It would be of great interest to learn how the blue dye was made in ancient times from a murex snail so that we can infer which dye molecule is the ‘real’ techeilet. Y. Aharon: Wouldn’t purple be argaman, not techeilet? Nachum, I didn’t say that purple was an appropriate color for techeilet. Rather, that I thought it should be blue with a purplish or violet tinge. The sky can have that coloration looking straight up on a perfectly clear day. Argaman is presumably the reddish purple color produced from some other murex snails such as the Brandaris and Haemistoma varieties. Thank you for the “Noahide” point, which is well taken. Y. Aharon: I see. Yes, I agree. Of course, we make do with what we have: It’s been pointed out, for example, that tefillin never were able to live up to their ideal until hydraulic presses were invented. It doesn’t mean that all tefillin from the time of Moshe until about a hundred years ago were pasul, of course. R’ Spira- I understand that people don’t want to use certain words for Google to find. (I’ve seen “lo yehudi” more than once.) But I say, let’s be accurate and let’s realize the haters will hate regardless. Scientists, historians, and other secular scholars held that tekhelet was a violet-blue. This was rejected by the three great recent halachic authorities who researched the topic, most notably, the Tifferet Yisrael, Rabbi Israel Lipschitz (1782-1860). In his work, kupat harochlim, (usually found in the introduction to Seder Moed) where he talks about Gesenius’ assertion that the hillazon is a snail, the Tifferet Yisrael says: “Gesenius states that the tekhelet is made from a mussel called the purple snail and its blood dyes a purple-blue color tending to violet… But this is against our tradition. For Chazal say that tekhelet is like the sky… And so says the Rambam that its color is that of a pure sky at sunrise.” I believe that this passage had a very significant influence on both the Radzyner and Rav Herzog. All three rejected the then current scientific assertion that tekhelet had a violet component. There are also indications outside of halachic tradition that would indicate that tekhelet was blue. The Akkadian uqnu=takiltu referred both to tekhelet and to lapis lazuli – which is blue. As you mention, the gemara claims that the color of tekhelet is identical to indigo. The Pazyryk carpet dating back 2500 years shows that ancient dyers could produce a sky-blue color from murex and that they distinguished between blue and purple. All these can be questioned and argued about, but when they are taken together as a whole – along with the traditional association of tekhelet with blue – in my opinion they make for a compelling case. That having been said, I do agree with you that while it might have been the goal to achieve a sky-blue color, in practice a little more or less purple in the mix would probably not have made any difference to the tekhelet wearers of old. Maybe for the highest quality tekhelet, as in the bigdei kahuna, they might have chosen their wool carefully, but the average person would be happy to get whatever he could. That, coupled together with the fact that in ancient times dyed cloth was so rare – especially blue – and so the sensitivity to color differences would naturally have been less developed, would make it logical to assume that in practical terms tekhelet ranged anywhere from light blue to dark, and from pure blue to violet. R’ Baruch, I don’t really disagree with your argument. I also agree that color sensitivity is subjective and possibly under cultural influence. Thus, people will see differences in the sky color which the techeilet dye is supposed to emulate. However, you have not addressed the question of why aqua, i.e., blue mixed with some yellow, is considered acceptable, but not if it’s mixed with some violet. If the yellowishness is sometimes unavoidable, perhaps the process needs refinement, i.e., minimizing the yellow impurities (I refer to impurities that are ‘permanently’ yellow rather than the color of the reduced (leuco) dyestuff). You have also not addressed the point of the alternative way of producing a blue dye from the trunculus bromoindigo, i.e. via steam treatment. 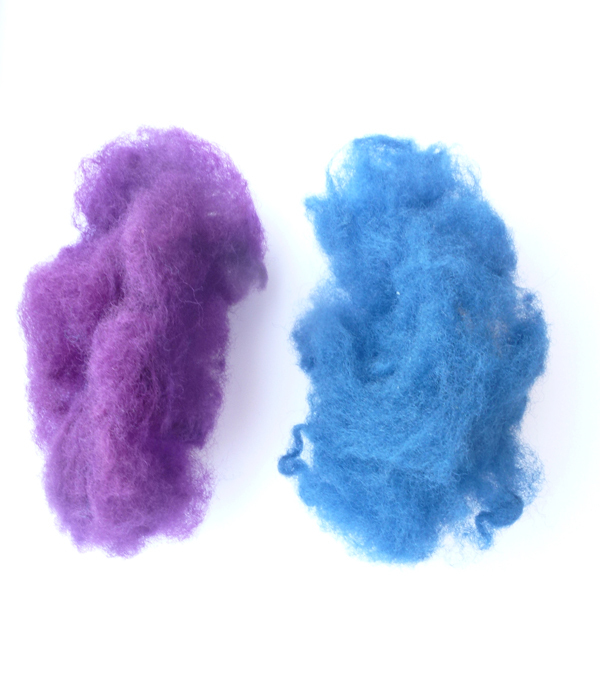 Perhaps a more uniform blue dye would result from steam treating skeins of the bromoindigo dye wool rather than the finised twisted thread. Also, the introduction of ammonia, i.e., an alkaline material, in the steam cabinet could accelerate the color change. I realize that the introduction of a steam process would be a radical change. I suggest it only because I believe that your group is concerned with uncovering the ‘real’ techeilet rather than merely following some customary procedure. Why do you say that murex tekhelet has yellow mixed in? When we debrominate the dye, the predominant molecule left is indigo. There are traces of other molecules, but not enough to be substantially detected by the human eye. Regarding the steam – this is certainly something that needs to be investigated more thoroughly. In our experience, it is not a 100% foolproof method for turning the strings blue and sometimes they stay slightly violet. Amonia might be another way to go. In general, we are very open – and eager – to understand the various chemical processes in greater detail so that we can improve both the quality and efficiency of the dyeing. If you know of any good chemistry students looking for a doctoral subject – let us know! R’ Baruch. My understanding of color tone suggests that an aqua color is blue mixed with some yellow. Such a yellow coloration would be due to some yellow impurity. I can only speculate as to the source of such impurity. Drying the glandular source of the techeilet dye on a hot plate may cause some side reaction. I note that the referenced material from Pliny mentions soaking the glands in a brine solution prior to the cooking process that creates the reduced form of the dye. While the rationale for the brine soaking may be to encourage the growth of a particular bacterium (clostridum, as per your suggestion), it may have an additional benefit of suppressing the conjectured formation of a yellow colorant. I would be glad to help you locate a qualified chemistry student to study the steaming process, but I am not an academic, and have no direct contact with students. By the way, I believe that staying slightly violet in the steaming process is a good thing rather than a source of rejection. However, that is only my inexpert opinion. In any case, I would encourage you in the important work that you and your associates have been doing. R. Spira: Since you referred to R. Parnes’ article in TUMJ vol. 1, I would call your attention to the critique of that article by R. Prof. David Berger and me in TUMJ vol. 2. Re the question itself: To say that an entire popular and strictly Orthodox book on say tekhelet or Tefillah can be read only by Gedolei Torah ve-yirah because it cites a few verses from the NT strictly for historical purposes is self-evidently absurd and NOT what RMF had in mind. I realize, to cite R. Prof. David Shatz, that one person’s reductio ad absurdum is another’s ein hakhi nami, but, to speak frankly, I would suggest that the problem with many of your views, Shalom, is that it seems that for you NOTHING is self-evidently absurd. I thank Mori ve-Rabbi R. Kaplan for his illuminating rejoinder. It is true that R. Parnes’ is critiqued in TUMJ Vol. 2, but then R. Parnes responds in a subsequent volume. Actually, in reexamining the exchange between R. Carmy and R. Parnes, I now realize that (be-mechilat kevod Torato of R. Parnes) R. Parnes exaggerated the purported leniency attributed to R. Soloveitchik. [Perhaps R. Parnes did this as a polemic technique, to argue that “afilu im timtzei lomar” that R. Soloveitchik permitted a Jew to read everything, I have the right as a moreh hora’ah to forbid a Jew to read certain items, based on Rambam. But, in any event, R. Soloveitchik did not, in fact, allow a Jew to read everything, as I will now demonstrate.] All R. Carmy reports in the name of R. Soloveitchik is that R. Soloveitchik said the question of what books a Jew may read cannot be flippantly decided like a kashrut question of fish. It seems obvious to me (S. Spira) that this is not the same as saying that everything published by humankind is permissible for reading. Thus, the dispute between R. Carmy and R. Parnes is actually less pronounced than I originally surmised. “A Sefer Torah written by an apostate must be liquidated” (Gittin 45b). While I do not claim to be an expert on the subject of which books are permissible to Jews, it seems to me that there is cogency in Jews maintaining distance from the bible of Noahide religions, even in the context of a few verses merely quoted for historical purposes (i.e. le-havin u-le-horot). Neverthless, I respect the opposition expressed by Mori ve-Rabbi R. Kaplan.